My passion has always been cars, particularly body work. After migrating from Italy in 1970, I completed an apprenticeship at Leo Squires Motors, Dandenong in Panel Beating and Metal Fabrication. As a teenager, I had a part time job in a company which made some panels for Ferrari and this sparked my interest in panel making. During my apprenticeship I had a taste for using the wheeling machine but was not able to find a panel shop to advance my career. After several years of working with smash repairs and small restorations, I decided to open up my own business Peter Tommasini Classic Car Restoration. In the process of seeking out and purchasing appropriate restoration equipment, I met a range of different tradesmen in this field. Tom Peach generously shared his vast knowledge and experience and helped me to further hone my metal working skills. 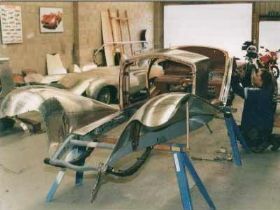 After 28 years, the business evolved into one specialising in the restoration and panel fabrication of all classic, vintage, veteran and prestige cars, including Ferrari, Lamborghini, Maserati, Austin Healey, GTHO, Monaro and many more. 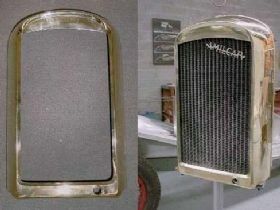 As each shape of a panel is unique to a particular car there is a great deal of patience and practice required to achieve the desired result. I still maintain my passion for panel fabrication and my greatest reward is creating a unique panel from a sheet of metal. 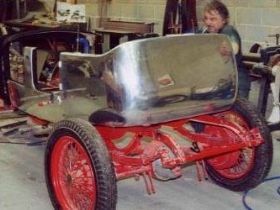 At Classic Car Restoration there is currently three staff with over 100 years of combined experience in metal work. Peter has been in the industry over forty years and working with him is his on-screen partner, Tom Peach. 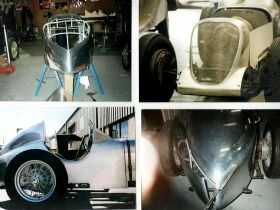 The business focus is on bodywork and panel fabrication and they provide their quality services for all classic, veteran, vintage, historic racing cars, motor bikes, radiator shrouds and old bike tanks anything you cannot buy today. Most of their clients face the same challenge they need someone to create or make panels for them from pictures, old rusty panels or parts. 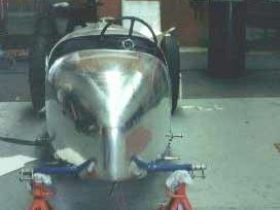 The team can make anything and start with a pattern and profile. They have the ability to determine a scale from a picture or model and reproduce that by hand to scale. 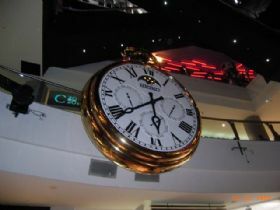 One of the more unusual jobs they have done for a client was to repair the Melbourne Central City clock which hangs in the old Diamaru building. 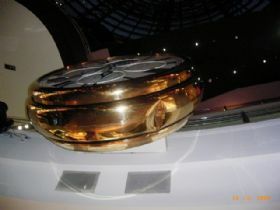 The clock was damaged when the cleaner using a cherry picker forgot that the clock opens downwards every hour, consequently creating a dent in the brass outer frame the size of a football. Brass is an extremely hard substance and difficult to repair. After three nights working after hours because it is a public place, into the early hours of the morning, the clock was repaired back to its former glory. 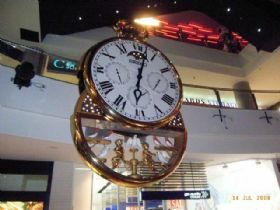 This clock is very popular with tourists who flock to see it open every hour whilst it plays Waltzing Matilda and the animations move around. The old school approach to working with metal has generated a lot of interest in the tools they use on Gasolene and in the seminars. Peter has had his tools for over thirty years and a number of them are no longer commercially available so due to many requests they now produce and sell a range of tools. With continued exposure via the show and seminars this area of the business has expanded to include bags, stands, dollies, hammers all the stuff not available in stores. One example is they sell a blocking hammer the last time Peter saw one for sale was 1982. The latest addition to the tool portfolio is a wheeling machine. Peter, along with two engineers have designed their own wheeling machine with the understanding of what the unit is required to do. The wheeling machine is full size and has a 900mm throat and weighs a hefty two hundred and forty seven kilograms. 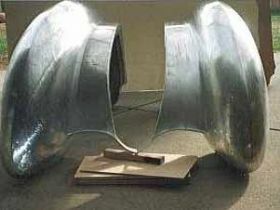 It is made in Australia and will do what a cast wheel will do and orders are being taken now. There are currently seven DVDs for sale of the show and they expect to produce another two in the short term with more in the future. The tools and DVDs can be purchased directly through the business. 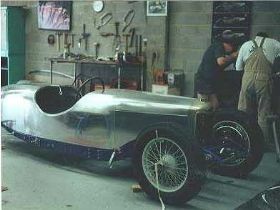 Over the years there have been many unique cars pass through the workshop. Back in the seventies the business did a lot of panel work on the Victorian based touring cars and cars driven by Peter Brock, Allan Moffat and Jim Richards have all been massaged back to their former glory. Enid Blytons Bentley, Cooper Climax, Ferraris you name it, just about all the marques have passed through the doors. 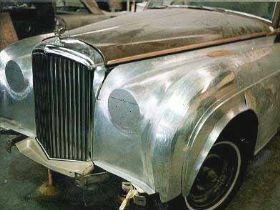 Currently there is a 1922 Austra Daimler being worked on and the shop holds three cars comfortably at any one time. As an additional service Peter will assist clients with pre-purchase inspections on classic, historic and vintage cars and be able to advise the prospective purchaser as to the condition of the bodywork, originality and value proposition. 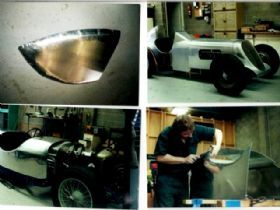 Fabricating projects by hand is never a cheap exercise and over the years experience has taught the team at Classic Car Restoration to take the time and do it right. Through consultation with their clients they will discuss the specifications of a project, what will be involved and the desired outcome. The end result is a guarantee that the workmanship and finished job is of the highest professional standard. The workshop is open Monday to Friday between the hours of 8.30am to 5.30pm and on Saturday from 8.30am to 2.30pm. If you have a project to discuss or are interested in the DVDs or tools you can drop by or call Peter and the team and they will be happy to discuss your requirements with you.